You are. You are the doll. I watched a Justice League movie while I was home sick yesterday. Can't remember if it was called Crisis on Two Earths or Crisis on Alternate Earths. Whichever, I want to hurt the person who forced Andrea Romano to cast a lesser Baldwin brother as Superman. I know it's not her fault because in the trailer for Batman/Superman Public Enemies she said she practically begged them to be able to cast Kevin Conroy and Tim Daly so obviously people usually make her cast inferior actors instead. You can totally turn that white dude into Black Vulcan with some very easy modifications and a little repainting. 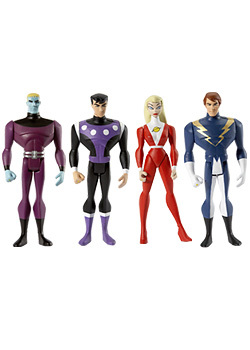 Also, that white dude is Lightning Lad. First of all, they're not "figures" or "figurines" - they're dolls. Also I haven't played with any action figures since I was in like middle school. I'm trying to mock you so you won't waste your money on those things! I'm trying to help you, gawd! Well, it's over. Batman the Brave and the Bold series finale was last night. I can count on one hand the number of episodes I've seen so I don't feel I'm in a good position to judge the whole series. I don't remember the first one I saw, but it was early in the run. Aquaman was a guest hero that episode and I hated what they did to him. Now, Aquaman gets a lot of crap for being a lame hero. Bruce Timm did some awesoming in the JLU, but then I never had the grudge against the King of the Sea some folks did. But initially it felt like a giant step backwards to make Aquaman a gigantic, extra strong idiot. It was like he became the Tick, but without all of that self awareness. But you know what? Subsequent appearances turned me around on him a bit. I mean, I still question the big strong moron part, but the bombast and over the top action/reaction really worked for this series. I mostly forgot about it for most of its run. But I picked up an episode or two here right at the end. And you know something else? Turns out I think this show was a positive addition to the Batman works. The animation was top notch. The voice acting was great, with some fantastic casting. And watching the finale, I felt a little sad that it was going away. Most likely because I've seen preview concept art for what's coming next. My thoughts on Aquaman in general are pretty positive. I mean, despite being the only real example of an old DC character who was a ripoff of a Marvel (Timely) character, he actually more interesting to me than the Sub-Mariner, since his default personality isn't jerk. His classic villains are pretty cool and different. I never got into the hook handed version because I burnt out on the Dark Age anti-hero pretty much as soon as the concept started. The problem with the Super Friends incarnation was that he was included for being one of DCs most prominent heroes, I suppose. He doesn't work on a team of course unless that team is underwater or aquatic in nature. He also suffered greatly from the studios inability to depict actual fighting. His super strength was mostly useless with superman around and so the writers had to shoehorn ways to have him control animals. He did however have a cool iconic sound effect. I've watched the first season of Brave and the Bold. I sort of got the impression that there was more to Aquaman mentally than he let on. He acts that way because he enjoys it but isn't completely clueless. That's just my impression and I can't remember anything specific to support it. 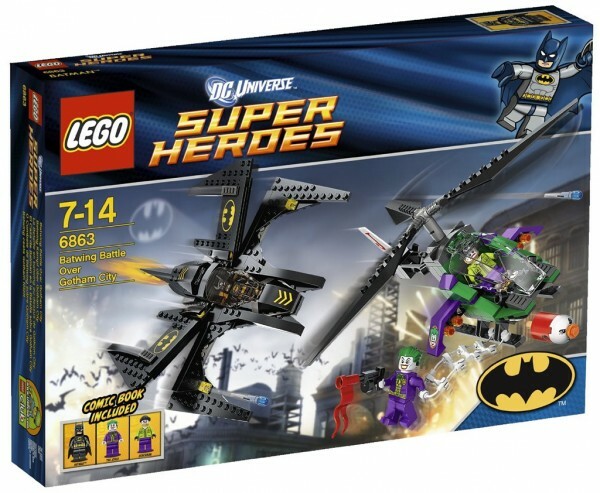 So, the new DC sets are just starting to roll out, I covet the Batwing set muchly. 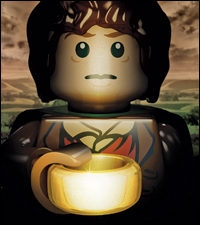 Apparently, Lego wants ALL of my money, they just announced "One brick to rule them all"
Does this mean there will be a Lego Lord of the Rings video game? How can can characters without fingers hold a ring? He seems to be doing okay there. You don't wear rings on your finger, silly, you put them on chains around your neck. My thoughts on Aquaman in general are pretty positive. I mean, despite being the only real example of an old DC character who was a ripoff of a Marvel (Timely) character, he actually more interesting to me than the Sub-Mariner, since his default personality isn't jerk. I've always had a soft spot for Aquaman. In the comics, at least, he's generally portrayed as a more than competent hero. On land, he's generally portrayed as being at least as strong as Wonder Woman, and every bit as good at hand-to-hand combat. (And Wonder Woman actually survived a fight with an enraged, mind-controlled Superman.) In the water, only characters like Superman or the Martian Manhunter can come close to being his equals. He has also been established as one of the most powerful telepaths on the planet. There was one encounter between him and an evil Speedster. (I forget the villain's name.) The Bad Guy basically said, "I'm way too fast for you; you don't stand a chance." Aquaman replied something along the lines of: "People typically misunderstand how my powers work; they think that all I can do is talk to fish. Actually, I can tap into and control the minds of fish -- or any animal descended from fish. That includes you. For instance, I just shut down the motor center of your brain." That sounds like shenanigans meant to make Aquaman seem less lame. I like it better when a character has more clearly defined limits and the writers don't just keep adding new powers to deal with whatever problem arises in the story. On the flip side, writers often ignore a character's well-established abilities, just to make the situation seem more threatening. Like the character in question would somehow forget that (s)he can easily deal with this sort of situation. In short, when the writers remember his established abilities, Thor should only be challenged by Cosmic-level entities. But for some reason, mere Earthly villains sometimes give him a real run for the money. The writers sometimes hand-wave this by having Thor claim that he only ever uses a small fraction of his true power when on Earth, because if he ever used his full power, he could literally devastate the Earth. Still, it seems like a real cop-out. Probably the biggest DC Universe victim of this is the Flash. Honestly, given his established abilities, if he were written at all "realistically," not even Superman would stand a snowball's chance in Hell against him. Indeed, it was actually a plot point in a couple of Justice League episodes that if Flash ever came close to using his abilities to their full potential, he'd be essentially unstoppable. Actually, the Silver Age Superman could do pretty much anything that the Flash could do, and then some. Alot (sic) of people are complaining about not being able to understand Bane in the recent trailer for the next Batman movie. I didn't have much of a problem myself but I can understand why other people might. Fortunately for everyone, however, it seems Bane has taken to the written word to get his message of despair to the masses. Though I don't think it's as effective as he might wish. Also in comic industry related news: I am not a fan of the Doctor Who spin off Torchwood. I just didn't like it. But there's no denying that John Barrowman is pretty damn awesome. He does play a very convincing charming rapscallion. I think it's his shiny teeth. And because I'm and I can't help it, I sat there enjoying the stage show but thinking the whole time that there's really no way Wonder Woman could beat Spider-Man. 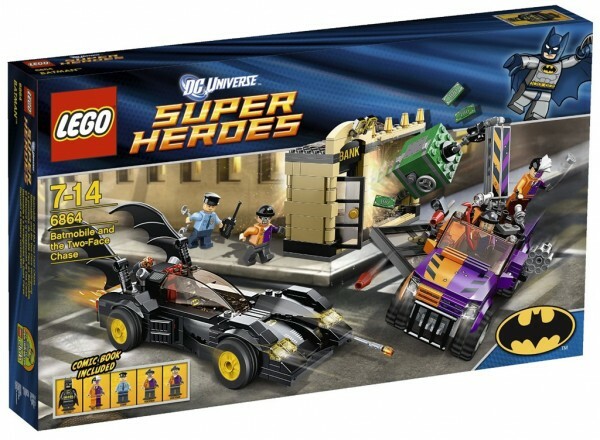 Psst...LadyShea....THE WORLD'S FINEST is coming to Lego. Yet Steve Jobs defeated him. One of the reasons I could not get into Marvel. "Wandering Gods" meeting other "Wandering Gods." Oh and "conflict!" The New 52 did not bother me. I'm used to continuity reboots. New costumes and new identities don't bother me, it's what happens in comic books. But, this....this fills me with nerdrage. It's the new DC Comics logo and I do not approve. I did not mind the change from the DC Bullet to the "swoosh" in 2005, but this one is hideous. I get it, it's supposed to be clever. And maybe it would look better in color. But, my gut reaction is that I do not like it.